Enjoy the New Year celebrations with fresh breath, as you usher in the year 2015 with full confidence! In the rush to do prepare for the parties and festivities this holiday season, you might forget to brush your teeth. Please don’t forget this, so you can prevent bad breath and other dental problems even during this busy season! You can use your toothbrush or a tongue scraper to keep your tongue clean. This surface contains a lot of bad breath-causing bacteria, so make sure that you clean it thoroughly. While it may be hard to stay away from eating chips, cake, and cookies on parties, you can counteract the bad effects on your breath by munching on vegetable sticks afterwards. The crunchy vegetables will keep stimulate saliva production, and wash away food debris in between the teeth and gum line that can cause bad breath. If possible, stay away from coffee or sodas that can leave a foul smell in your mouth after a few hours. You can instead turn to drinking water to rinse and hydrate your mouth. Green tea can also suppress the multiplication of bad breath-causing bacteria. 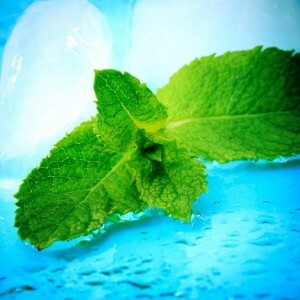 In the middle of the party, you can banish bad breath by turning to different garnishes on the dishes in front of you. Chewing on a few parsley or mint leaves (sitting on top of that gorgeous holiday spread, perhaps?) will instantly make your breath smell fresher.